Carrie Rubin here! 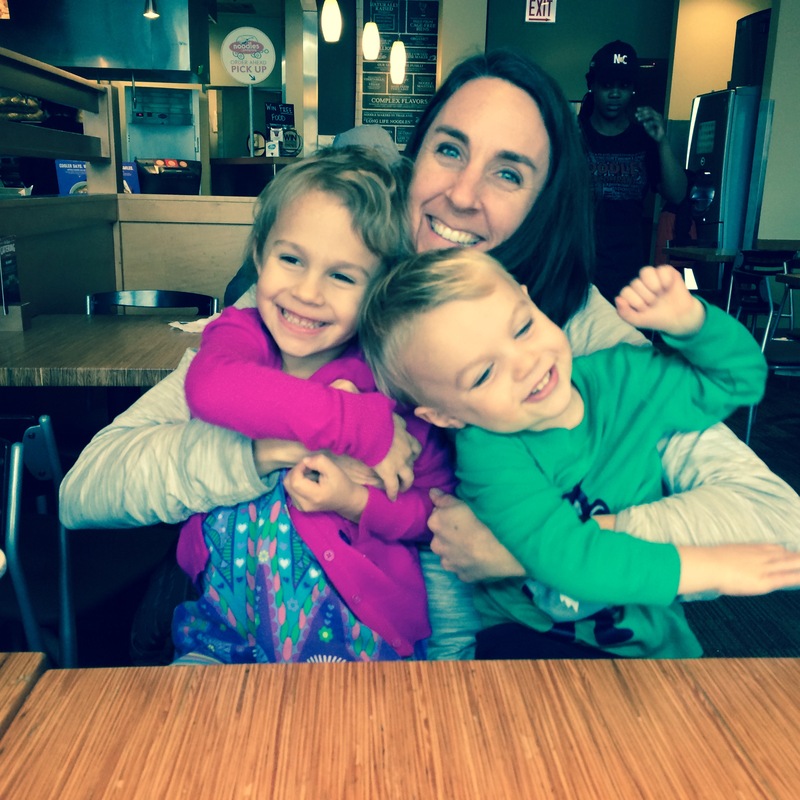 I’m a mom of 2 little ones living in Chicago and I’m excited to share my tried and true “tidbites” of information about authentic and healthy living for busy moms like me. My journey to being a health coach and putting together this site/blog began in my mid-twenties when I started suffering from a whole slew of health issues – chronic debilitating headaches, irregular menstrual cycles, depression, blinding fatigue, and digestive upset to name a few. Traditional doctors weren’t able to tie together or help me with any of these symptoms and I started to look everywhere for alternative solutions. I went to countless traditional western medical doctors as well as alternative medical professionals, and at each visit I slowly started to put together the pieces of the puzzle as to what was causing me to feel so awful. Ultimately I stumbled upon a program called Flo Living which made it all make sense. All of my symptoms were related to hormone imbalances – triggered by poor diet and lifestyle choices (taking heavy doses of antibiotics for acne being one of those choices) – and by making some changes to how I was living, my life and health started to get back on track. And it did. I no longer suffer from the headaches, depression, fatigue, or digestive issues and I have more energy now as a busy mom than I did in my 20’s when I could sleep whenever I wanted and only had to look after myself! After completing the Flo Living program, I was intrigued by the amazing women who put together this program and started to learn more about where they had gotten their education – the Institute for Integrative Nutrition (IIN). I was so intrigued by the thought of helping people heal themselves via diet and lifestyle and I also was just hungry for more information than the Flo Living program provided that I decided to sign up for IIN myself. The year at IIN was really transformative, but in a different way than I expected. What I went into it looking for was more information – more science, more nutrition, more anything to help me really understand the how and why people can heal via diet and lifestyle… not only so I could help myself, but also friends and family. I didn’t get that at all, and I think I’m ok with that. What I got out of IIN were the valuable life skills of coaching, listening, and connecting with my intuition and looking beyond myself and my mind for answers. It’s curious how life just unfolds when you take steps in the direction of what you’re passionate about and trust that the journey will take you somewhere amazing. My dream is to have a part time job (I’m currently working full time at a corporate desk job) doing something that really matters to me. Not that I don’t like my corporate job – because I do like parts of it – but it doesn’t feed my soul. And I think connecting with moms about feeding their families well and taking better care of themselves is that thing that really matters to me. So, I decided to put this site/blog together as a way to spread the word about small things moms can do to make a difference in the health of their families. The “Mom Tidbites” blog features quick tips, tricks, recipes, and simple swaps to help you on your journey to healthy and authentic living. I also want to share my journey to finding my purpose and passion too, so that hopefully you too can find some inspiration and find something that feeds your soul. Oh, and my goal is to have my blog posts kept short and sweet. Hopefully this be the longest one on this site. My goal is to write concise, direct blog posts that don’t take longer than a few minutes to read … busy moms don’t have time to spend hours reading! So, come along for the journey! Thanks for being here with me.